Remember the Blend retreat, way back when? If your memory is a little foggy, you should definitely go back and read this post...and this one: an amazing weekend, with amazing ladies, doing amazing things! 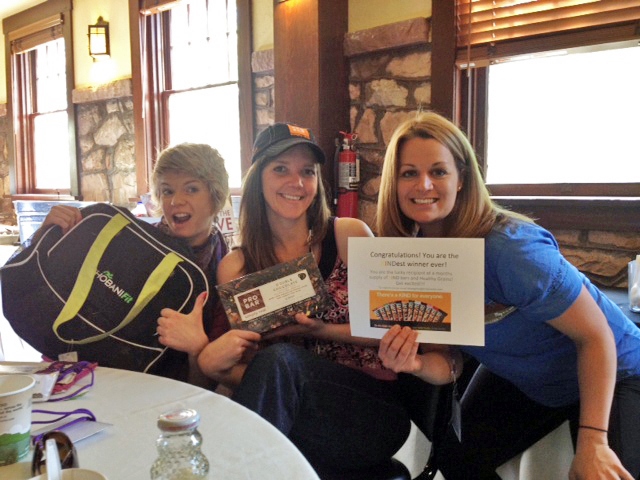 At this aforementioned retreat, I was a winner! On the last morning after breakfast, they did a raffle and we all went home with something wonderful. My prize happened to be an awesome PRObar hat that Dear Hubby prompty stole and an entire case of PRObars! Cha-chinnnnnnng! 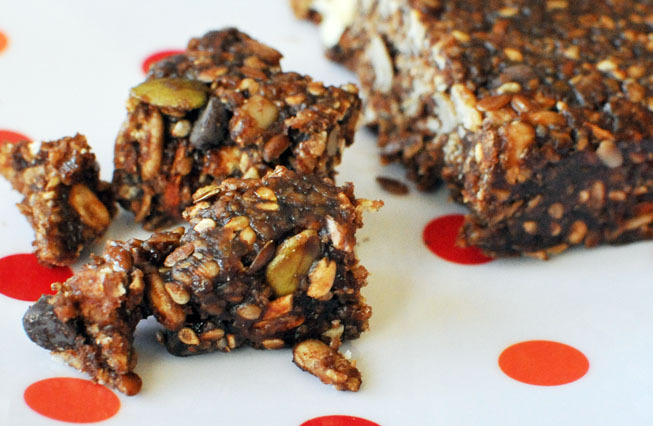 Their bars are organic, vegan, and full of wholesome ingredients. 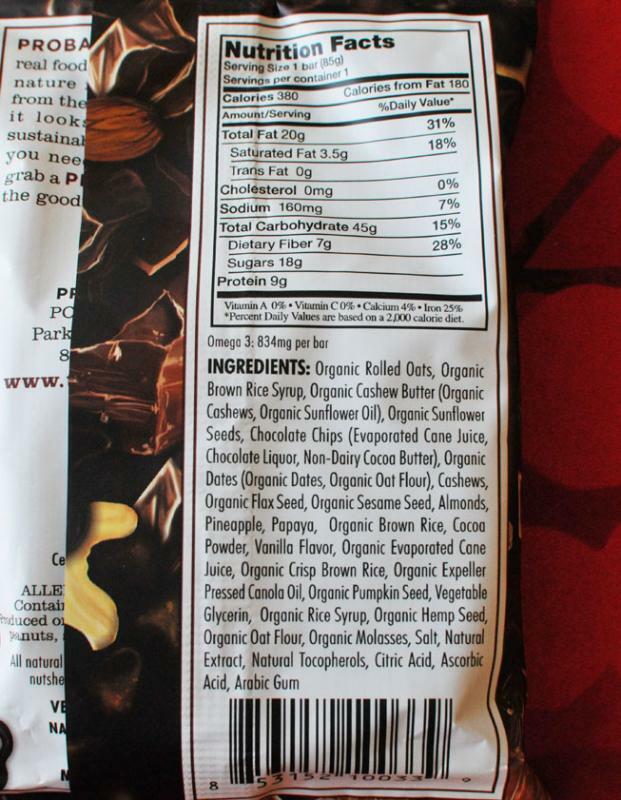 The Double Chocolate, specifically, is described as follows: "Give into chocolate without the guilt. 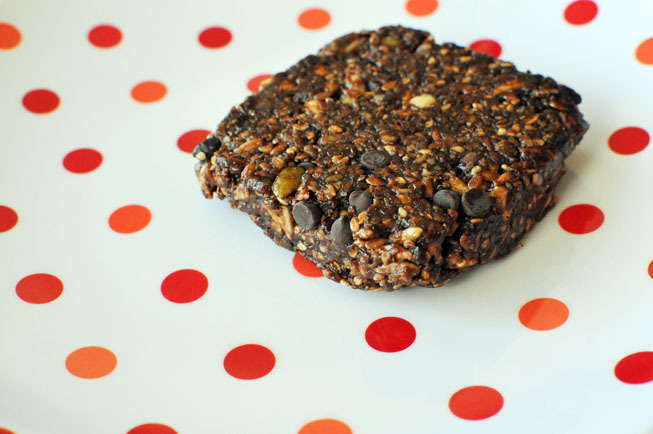 Packed with organic sunflower and flax seeds plus chunks of chocolate goodness, Double Chocolate is bound to appease the chocolate lover inside." The bars are touted to be an actual "meal replacement"/"energy bar"... so they are a bit higher in calories than a regular granola bar. This particular flavor comes in at 380 calories (a light meal), 9g of protein (I wish there were a few more grams of protein packed in there! ), and 18g of sugar (a tad high for not being very sweet). They are perfect part-way through a long hike though, or when you know you're really going to be exerting yourself. 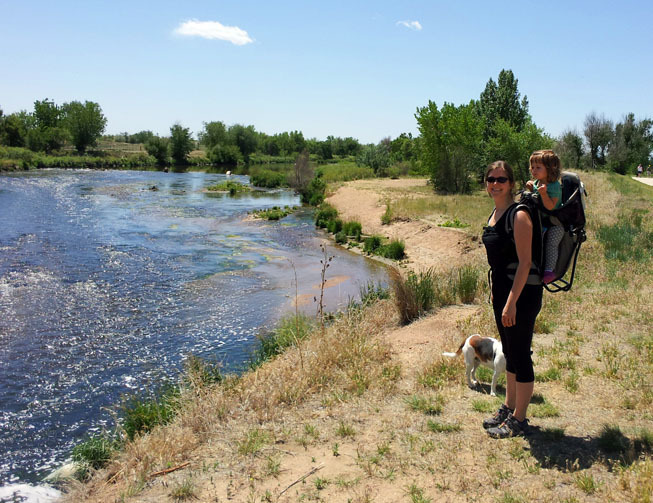 I personally enjoyed one last weekend when I went on my 3 mile hike carrying Babycakes. I burned through waaaaaaaay more calories than I refueled with! I haven't tried any of their other flavors, but hope to in the future :) The Superfruit Slam looks yummy! Since the folks at PRObar were so kind to donate an entire case of Double Chocolately goodness to the Blend Retreat me and I can't possibly eat them all over the next few weeks (! ), I want to share the love with you! 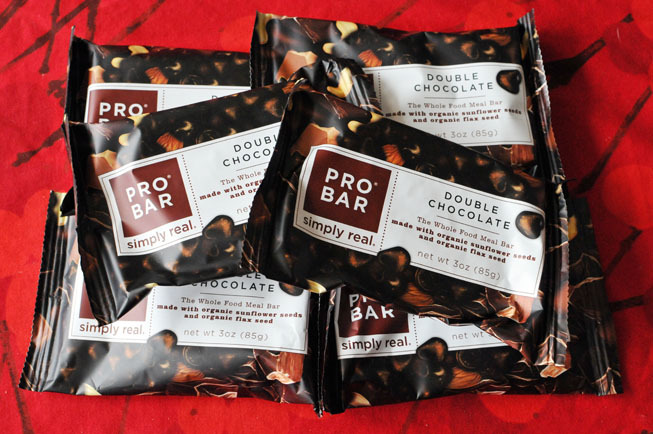 I will randomly pick one winner to send a package of SIX PRObar Double Chocolate bars to. So here’s what I want to know: What do you consider yourself a PRO at? (Comment below, and be creative). Marriage. Heh - coming up on our 8th anny, more in love, better at communicating, and truly enjoying one another! Yogurt eating. Yep... I love me some Chobani! Weight Loss. OK, maybe not a "pro", but an intermediate for sure. Hey- I've lost over 50lbs; I'm doing something right!! I will announce a winner on Friday, June 8th.